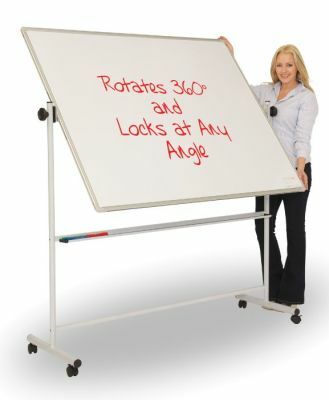 The Rotating Mobile Whiteboard can be rotated through 360 degrees and locked at any angle for a variety of settings and uses. Double-sided, this board features a plain surface on one side and a feint writing grid on the other and includes a handy full-width pen ledge for a tidy workplace. Available for free UK mainland delivery and comes with a 5-year factory warranty.